Whereas fried food may pose a significant risk to your health, cooking and vegetable oils combined with their greasy residues will pose a substantial hazard to your clothes. Although the stains may not look like something serious since they aren’t bright, they tend to weaken the fabric making your clothes easy to tear. Grease, on the other hand, usually darkens the fabric in the specific areas that it stains. Both oils and grease stains can easily happen, and you don't need to panic if your cloth is stained since there several ways of getting rid of the stains. 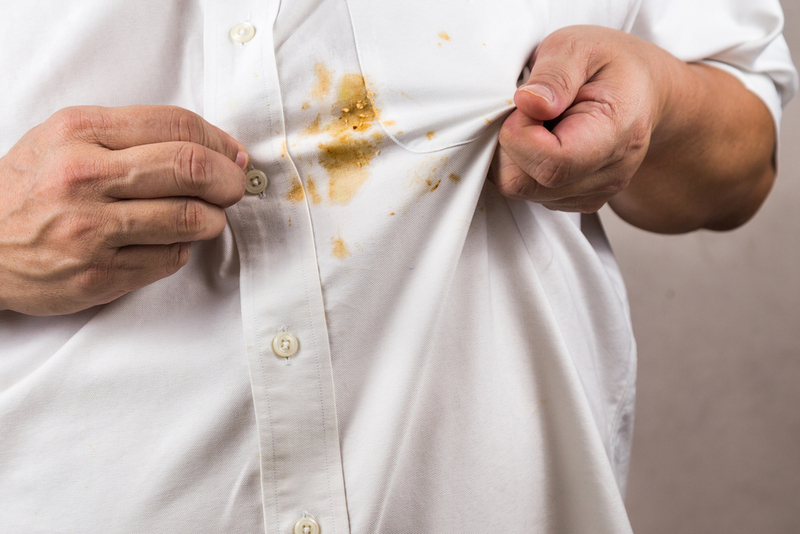 This article provides a step-by-step guide of how to remove set-in grease or oil stains in clothes. Read on to find out. At this point, you may require the grease-fighting detergents but don't worry if you can't find them in your local store since the other detergents will also work fine. You can also use shampoo to cover the spot instead of detergent since shampoo is also designed for body oils so it should still work fine. Alternatively, you can also use strong bar soap. Basically, any hand or body soap should work fine but make sure that the soap doesn't have any additives that may hinder your cleaning. Try to work with bar soaps labeled laundry soap for better results. Once you have covered the grease spot with detergent or shampoo, dampen with water. You can substitute water with ammonia if you want that extra grease removal power. Rub the bar soap onto the stain spot until sufficient soap has transferred to foam up easily. You can grate the bar soap and carefully apply the resulting pieces /powder onto the stain spot after wetting. The grating is an incredible way you can use to accomplish this step if you want to avoid the intense rubbing. If you are using a colored detergent, make sure that you dilute it thoroughly to avoid staining the cloth further. Consider using an old toothbrush for stubborn oil/ grease stains. The old toothbrush will help you weaken the stain better than you would do with your bare hands. You can also use old nail brushes as well as the typical small brushes that are always available for cleaning. Make sure that you see the foam dissolve. Typical laundry soaps and dish detergents are excellent at fighting stains since they contain special agents that fight the grease or oil. These oil/grease fighting agents are also found in shampoo. Although vinegar is a natural cleaning agent that is usually used in different applications, it isn’t advisable to use it alongside soaps or detergents since it tends to reduce their alkalinity making them less effective. You can start by mixing one part vinegar with at least two parts water and then soak the stained cloth in the mixture of water and vinegar. Be sure to rinse out the vinegar thoroughly. Once you are through with the above steps, carefully read the washing instructions on your clothing label and follow them while washing it. When you are through with the washing and the cloth is ready to dry, allow it to air-dry. After washing, always check to ensure that the stain has been removed before you dry the cloth. Repeat the previous steps if any trace of the oil/grease stain still appears on your clothing. You can also choose to run water on the exact spot of the clothing that has been stained after treating it, instead of washing the entire cloth. Avoid the extremely hot mechanical dryer since the high temperatures may cause any lingering grease or oil to set into the clothing. Be sure to repeat the above steps as outlined in case you are dealing with persistent oil or grease stain.